Today's post is sort of a prequel to what's coming up in a couple of weeks. 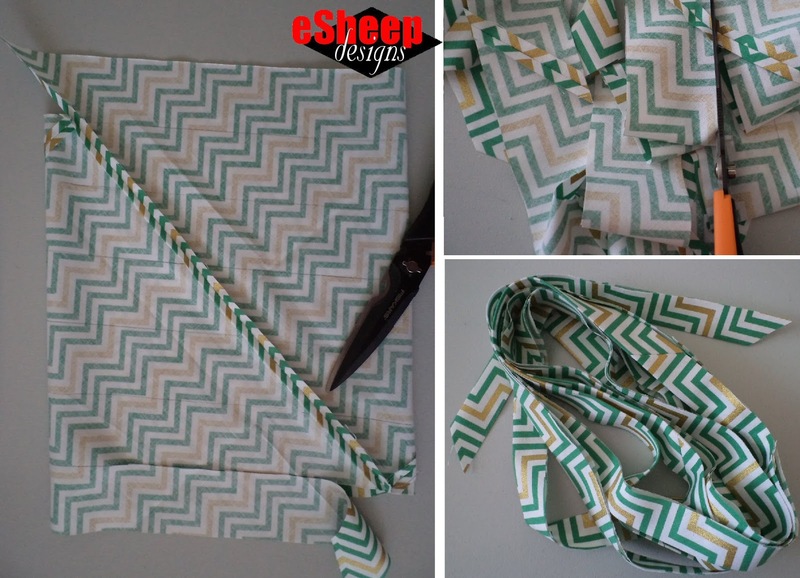 I'm going to unveil my own version of the hanging file organizer and as it requires bias tape, I thought it would be a good time to post about how to make your own double-folded bias binding/bias tape. Several bloggers have already posted about this method of making continuous bias tape over the past year. I will add my voice to the masses and say that it is a wonderful way to make a whole lot of bias binding with just two cuts and two seams. No need to cut, cut, cut, cut and then sew, sew, sew, sew. And because this topic is not original in the least, I'm hoping that my value-added contributions will make the repetition worthwhile. I will be adding some tips on how to fold the resulting bias tape so that it looks just like store-bought double-folded bias binding. Therefore, there are two parts to this tutorial. The first describes how to make the continuous strip of bias tape out of a square of fabric, and the second part describes how to fold and press it to make professional style bias binding. 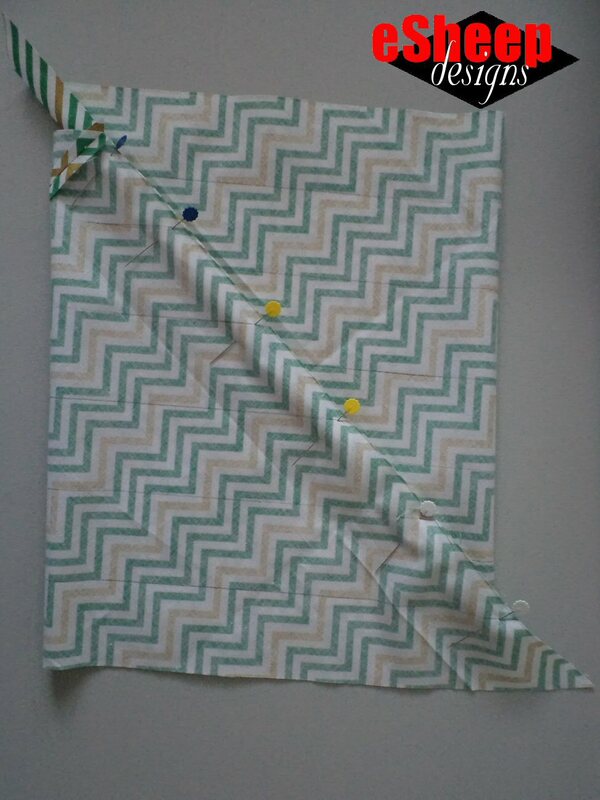 Take a square of fabric and cut it across the diagonal. Flip the bottom half over and place it on top of the other (with right sides together) so that the diagonal cut edges form an "x". Offset the top corners by a 1/4" (6mm) on both sides and pin. 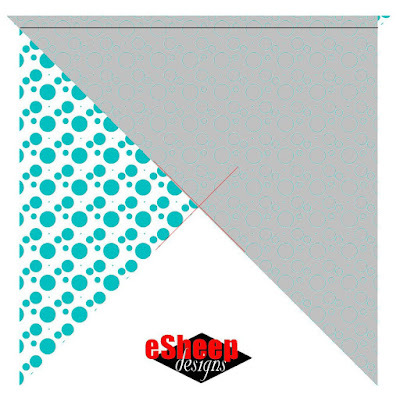 Sew across the top edge with a 1/4" seam allowance. NOTE: because you'll be cutting across this and the other sewing line, sew with a short stitch length. Press open the seam and place the fabric wrong side up in front of you, laid out as a parallelogram. 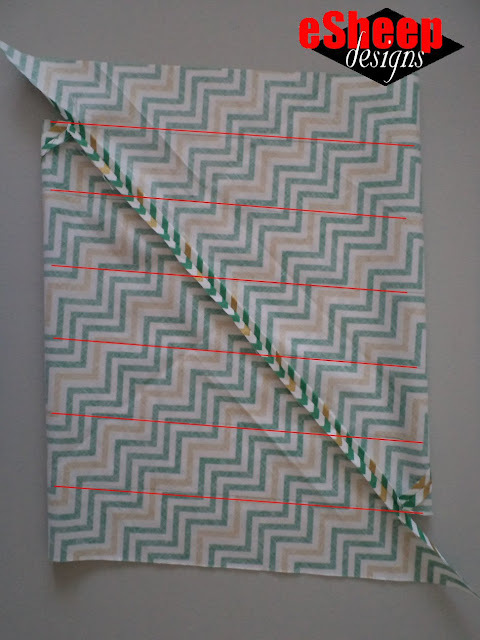 Use a pencil to draw lines across the entire width of the fabric, 2" apart. This will result in a 2" strip that will be used to make the required double fold 1/2" bias binding for my hanging file organizer project. (If you want to make binding of a different width, just draw your lines 1", 1.5", or whatever the width, apart.) Depending on the size of your original square of fabric, you'll likely end up with a last row that is too narrow. The next step is the trickiest of this whole process, but once you understand it, it's not hard to master. The objective is to bring the left and right sides together and sew a second seam to create an offset fabric tube. 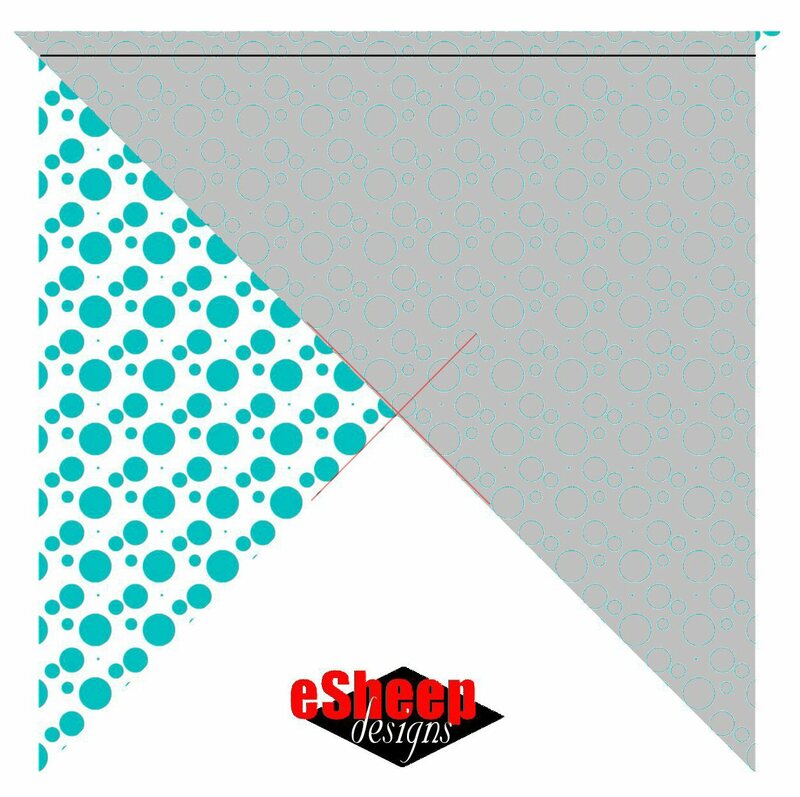 As indicated by the red lines in the diagram above, the top left corner edge of the fabric needs to be matched up with the end of the first line on the right, the beginning of the first line on the left needs to be matched up with the end of the second line on the right, etc. Pin and re-pin as necessary; you'll need to be fairly accurate in order for this to work properly. 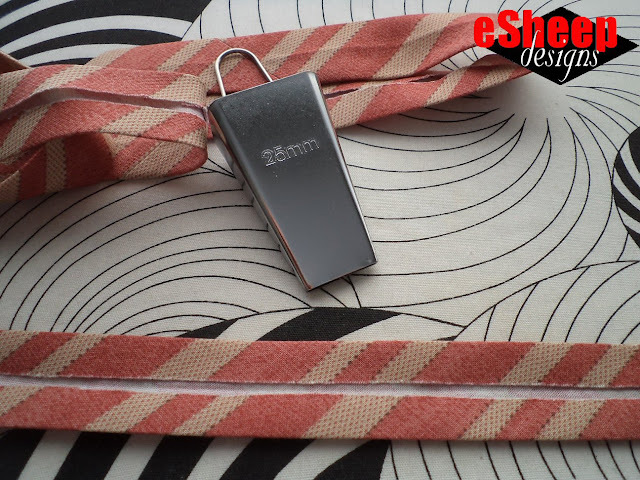 Focus on maintaining a 1/4" (6mm) seam allowance when you pin the two sides together, and check both sides of the fabric at that 1/4" mark to ensure that your pin intersects a line on both sides. Start cutting and keep cutting... until you have yards and yards of your own bias tape! ... I forgot that I had this bias tape making tool! 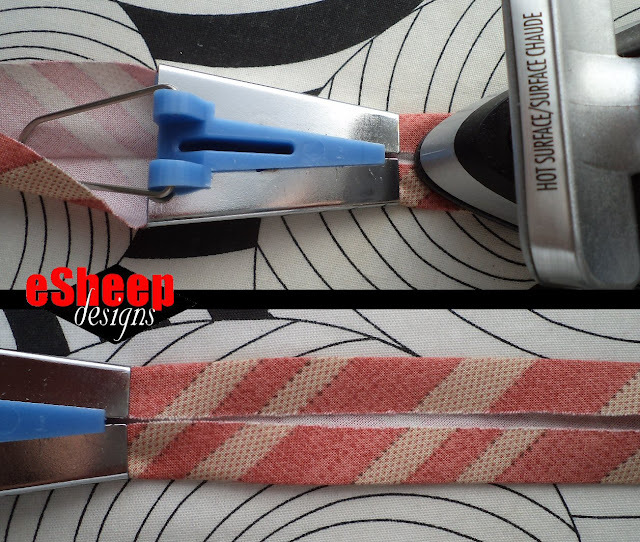 This is a 25mm or 1" bias tape maker, meant to accommodate a 2" strip of fabric. It was an eBay purchase for less than $2, but I've seen name brand ones go for five times that price. 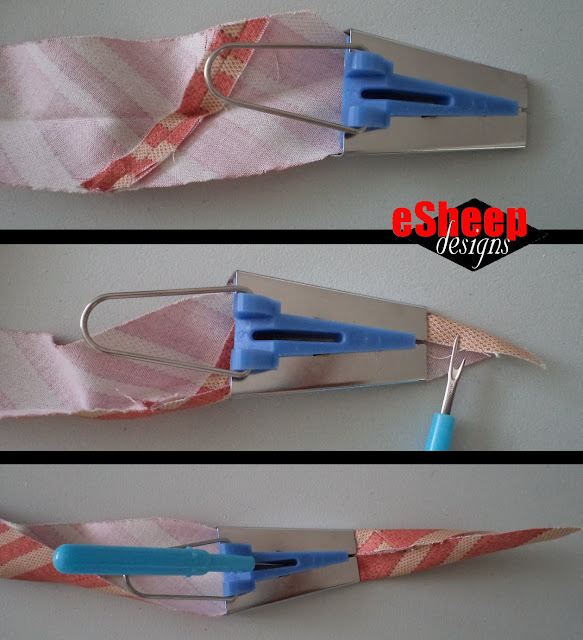 Whatever your preference, I highly recommend that you get one to complete this tutorial, because it will be time-consuming to do the folding and pressing "manually". The continuous bias tape that you make will have tapered ends, which is easier to feed through one of these bias tape makers. 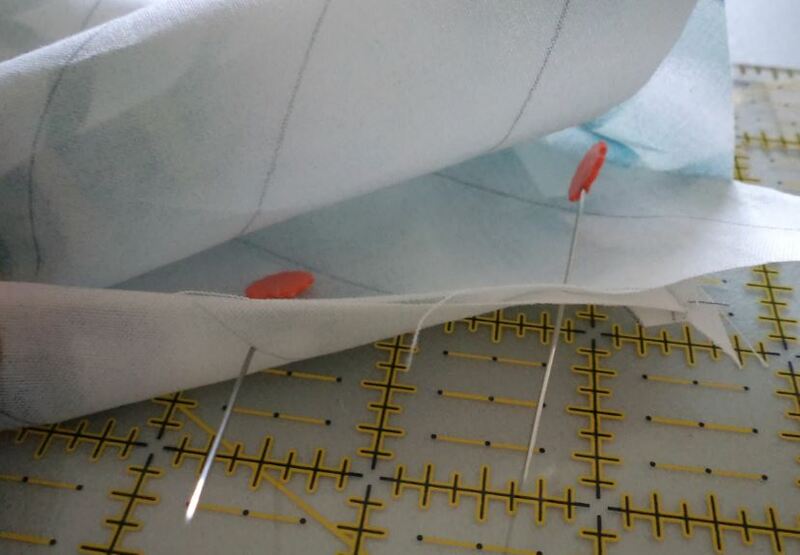 Push the pointy end in and use a seam ripper to guide and push the fabric out, until you can grab it. 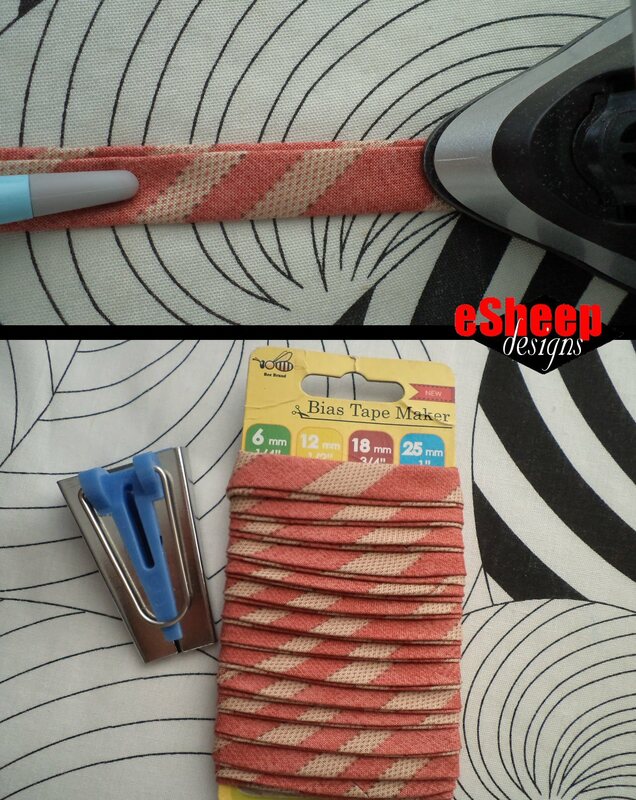 With your iron at the ready, pull out the folded tape and press it. Ensure that the raw edges of the tape are slightly apart in the middle as shown below. Keep that middle gap consistent as you "pull and press". When you're done pulling and pressing, make the second fold (the "double" part of the double-folded bias binding) by folding the tape in half. 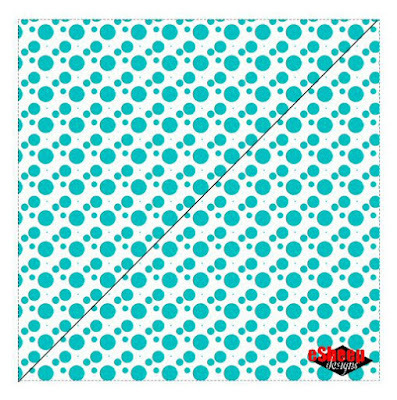 However, fold it so that one edge just extends beyond the other; i.e., one side is slightly wider than the other. Store bought double-folded bias binding is made this way with one side wider than the other. This is to ensure — theoretically, anyway — that when you sew along the edge of the narrower side of the binding, the stitching will automatically secure the binding on the reverse side, since it's wider. However, results may vary depending on the thickness of what you're binding... and the technique that you use. Maybe you can try it out in a couple of weeks by making my updated version of the hanging file organizer. Time for me to give this method a go. Your explanation is very clear!!! Glad to hear; I'm so tickled that this has been a worthwhile regurgitation.